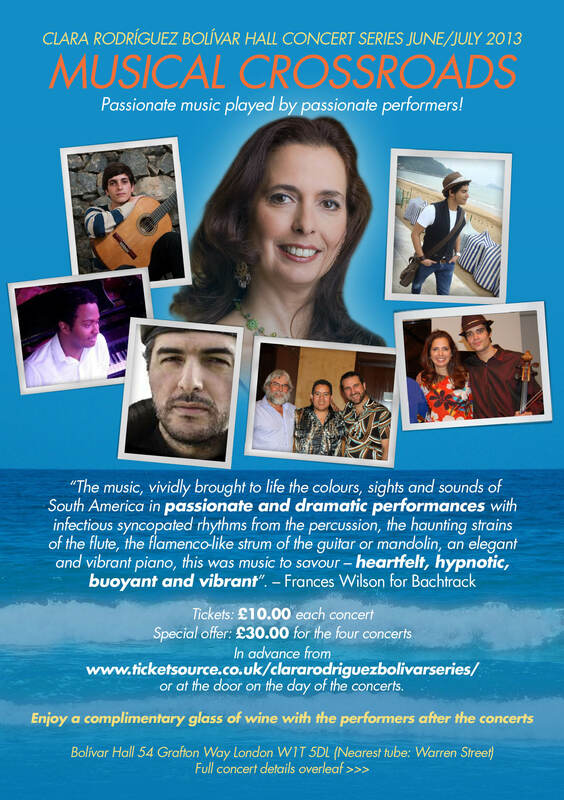 In a one London concert before touring Scotland this marvellous Venezuelan jazz pianist and composer will play on Thursday 20th June at 7.30 pm at The Bolívar Hall. 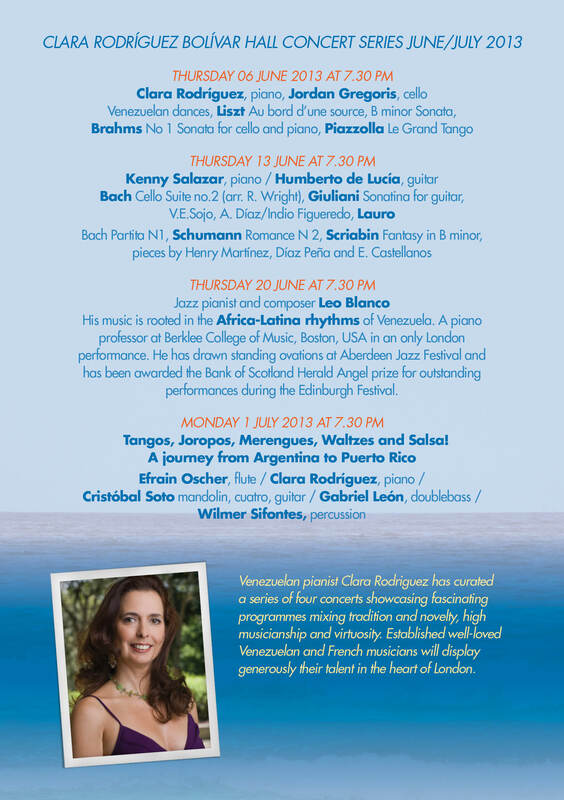 Leo Blanco is a Venezuelan pianist, arranger and composer. Leo grew up in Mérida-Venezuela, where from early age he was surrounded by Venezuelan folklore – a blend of African and European musical traditions– as well as jazz, classical music and pop. At the age of 11 he already was a member of the Mérida Youth Symphony Orchestra. After moving to Caracas at the age of 16 he performed and recorded with his own Jazz trio, while studying Improvisation, jazz harmony and piano at the musical Institute “Ars Nova” and University of Musical Studies. Soon he started working with very well-known jazz and Latin pop national artists. There, he shared the stage with major international jazz artist such as Terence Blanchard, Danilo Perez, Pat Metheny, Chucho Valdez (Irakere), Joao Bosco, and Gonzalo Rubalcaba. He has played with highly acclaimed artists such as Dave Liebman, George Garzone, Luciana Souza, Bob Moses, Dave Samuels, Jamey Haddad, Antonio Sanchez, Giovanni Hidalgo, Jane Bunnett. In the international arena, Leo has been a guest of renowned World Music and Jazz Festivals, such as Newport Jazz Festival (USA), Monterey Jazz Festival (USA), North Sea Jazz Festival (Holland), Edinburgh’s International Festival (Scotland), Montreux Jazz Festival (Switzerland), Kobe Jazz Festival (Japan), Festival de Música (Brazil), Festival Latino Americano (Italy), Festival Latino (Italy), Festival Tentarera (Germany), Music Festival de Paleo (Switzerland). – Christopher Lydon, NPR U.S.
“When you listen to Leo play it just blows you away while motivates you. 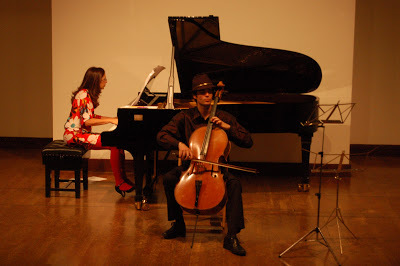 He just inspires and gives you new sensations”…..
“Not only are its four movements rolled into one, but they are themselves composed against a background of a full-scale sonata scheme—exposition, development, and recapitulation. That is, Liszt has composed a sonata across a sonata…. the material is constantly making contributions to two sonata forms simultaneously.” This immense experiment in form was unprecedented. Liszt had achieved his goal of living in the rarefied zone of Beethoven himself. 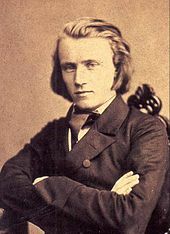 He completed the sonata on Feb. 2, 1853, the year Teresa Carreño was born, I am starting the programme with Mi Teresita Waltz followed by El diablo suelto by Heraclio Fernández who died the same year as Liszt! Fun! I would add elegance, defiance, triumphalism.